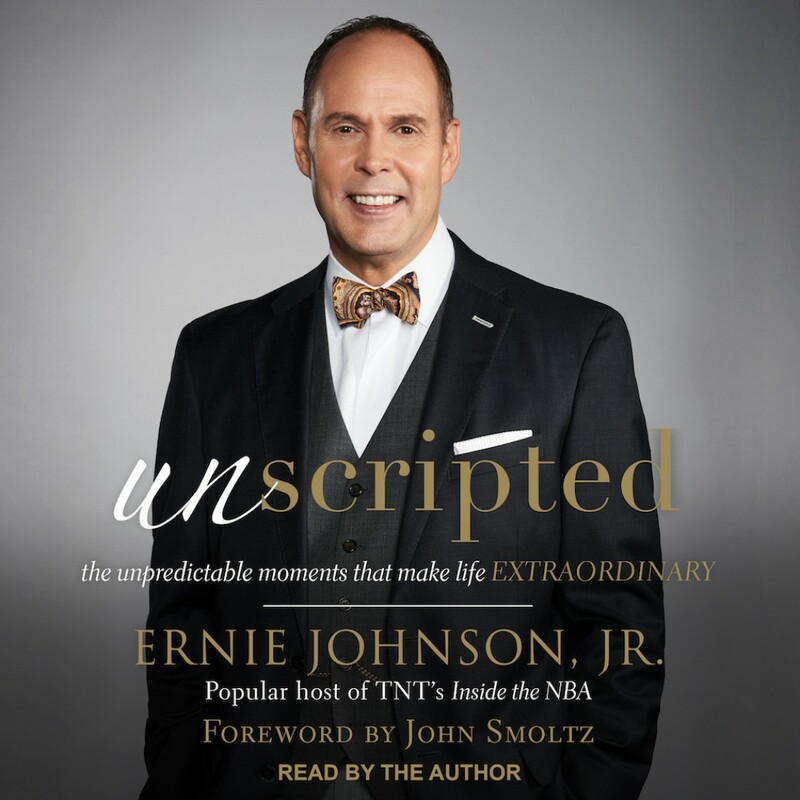 Unscripted | Ernie Johnson, Jr. | Audiobook Download - Christian audiobooks. Try us free. Ernie Johnson, Jr., has been in the game a long time. With one of the most recognized voices in sports broadcasting, he is a tireless perfectionist when it comes to preparing and delivering his commentary. Yet he knows that some of sports' greatest triumphs-and life's greatest rewards-come from those unscripted moments you never anticipated. In this heartfelt, gripping autobiography, the three-time Sports Emmy Award winner and popular host of TNT's Inside the NBA provides a remarkably candid look at his life both on and off the screen. From his relationship with his sportscaster father to his own rise to the top of sports broadcasting, from battling cancer to raising six children with his wife, Cheryl, including a special needs child adopted from Romania, Ernie has taken the important lessons he learned from his father and passed them on to his own children. This is the untold story, the one Ernie has lived after the lights are turned off and the cameras stop rolling. Sports fans, cancer survivors, fathers and sons, adoptive parents, those whose lives have been touched by a person with special needs, anyone who loves stories about handling life's surprises with grace-Unscripted is for all of these.